The firefighters killed Sunday in Arizona were part of the Hotshots, an elite crew known for working the front lines of the region's worst fires. NBC's Miguel Almaguer reports on the Hotshot crews around the nation that make up the cream of the firefighting crop. Not just anyone could become a member of the Granite Mountain Hotshots. The elite firefighting force -- which lost 19 of its 20 members in a wildfire on Sunday -- required candidates to complete a boot camp-style test to prove they were in peak physical condition. Would-be members had to run 1.5 miles in 10 minutes and 35 seconds, complete 40 sit-ups in 60 seconds, 25 push-ups in 60 seconds, and seven pull-ups. Fanned by hot winds, a deadly blaze exploded out of control on Sunday in Arizona, overtaking 19 firefighters, 18 of them from the same elite Prescott, Ariz., Granite Mountain Hotshots team. NBC's Miguel Almaguer reports. Its members trained by running, hiking, yoga, doing core exercises and weight training. "Problem solving, teamwork, ability to make decisions in a stressful environment and being nice are the attributes of our crewmembers," the site added. Members received at least 80 hours annually of "critical training." Founded in 2002, the Hotshots included "dedicated people of varying age and diverse backgrounds." The Prescott, Ariz.-based crew had battled blazes in New Mexico and Arizona in recent weeks. Mary Rasmussen, a spokeswoman for the Prescott National Forest, said the Hotshots were involved in dealing with the Doce wildfire near Prescott for about five or six days from June 18. The firefighters working the blaze were “very successful in putting the fire out even though there were several hundred homes threatened,” Rasmussen said. “That fire was much different in the sense that there were no structures lost, no lives lost,” she said. Retired fire chief Gary Whitworth said that firefighters regularly find themselves situations they’ve never faced before. 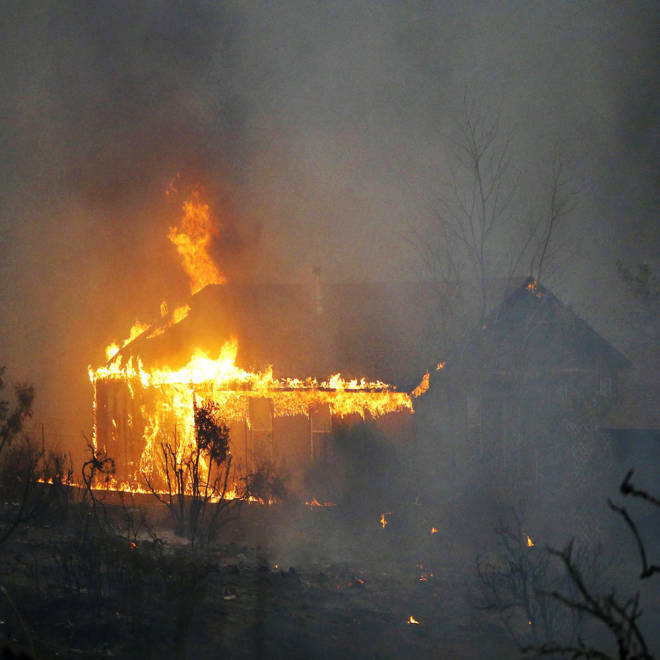 "When you’re caught in one of these fast-moving wildfires, with these extreme temperatures, things would have been bursting into flames spontaneously," said Whitworth, who spent more than three decades tackling blazes in the U.K.
Nineteen firefighters - all members of an elite response team - were killed Sunday battling a fast-moving wildfire in Arizona, marking the deadliest single incident for firefighters since the Sept. 11, 2001, attacks, officials said.